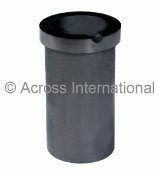 High purity (99.9%) heat resistant graphite crucibles with flat bottom. good for use with induction heating, recommended for precious metal casting. Volume: 75ml. Graphite, often called black lead, can tolerate thermal shock and withstands constant working temperature up to 1500°C or 3600°C (vacuum condition). They are the best electrical conductive material known to man, 4 times of steel, 5 times of copper and 100 times of non-metallic materials. They also have higher thermal conductivity than steel, iron and lead, plus resistant to acid, alkali and organic solvent. High purity (99.9%) heat resistant graphite crucibles with flat bottom. good for use with induction heating, recommended for precious metals casting. Volume: 150ml. High purity (99.9%) heat resistant graphite crucible with flat bottom. Maximum casting capacity: 22 Lb, good for use with induction heating, recommended for precious metals casting. Compatible with 15kW low-frequency induction heaters for melting manufactured by Across International. High purity (99%) heat resistant graphite crucible with flat bottom. Maximum casting capacity: 44 Lb, good for use with induction heating, recommended for precious metals casting. Compatible with 25kW low-frequency induction heaters for melting manufactured by Across International. High purity (99%) heat resistant graphite crucible with flat bottom. Maximum casting capacity: 88 Lb, good for use with induction heating, recommended for precious metals casting. Compatible with 35kW low-frequency induction heaters for melting manufactured by Across International. 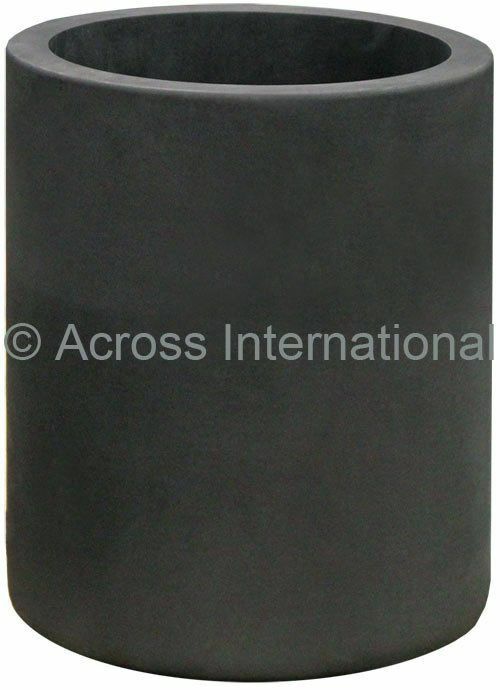 High purity (99.9%) heat resistant graphite crucibles with flat bottom. Good for use with induction heating, recommended for precious metals casting. Comes with a silicon dioxide (SiO2) jacket to prevent melting material leaking in case the graphite crucible breaks. Volume: 75ml, compatible induction coil: 60mm ID vertical coils. 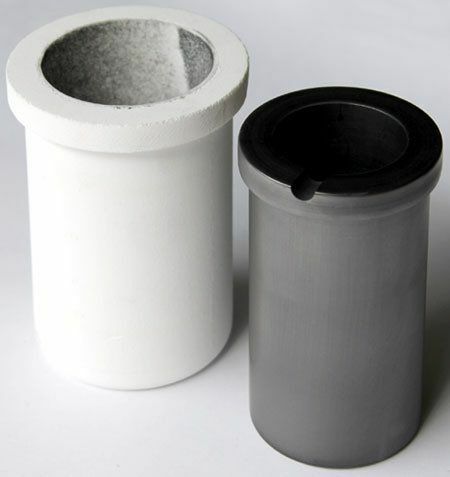 High purity (99.9%) heat resistant graphite crucibles with flat bottom. Good for use with induction heating, recommended for precious metals casting. Comes with a silicon dioxide (SiO2) jacket to prevent melting material leaking in case the graphite crucible breaks. Volume: 150ml. Compatible induction coils: 75mm ID coils. High purity (99.9%) heat resistant graphite crucibles with flat bottom. good for use with induction heating, recommended for precious metals casting. Comes with a silicon dioxide (SiO2) jacket to prevent melting material leaking in case the graphite crucible breaks. 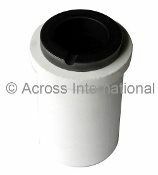 Silicon dioxide (SiO2) crucible with half-cover lid, withstand temperature up to 3632°F or 2000°C. They are good for precious metal casting, including gold, silver and platium. Volume: 120ml. Important: slow heat the crucible at low temperature to prevent cracking.